Mug is a necessary part in our life. If we say coffee is a wonderful thing to provide us with pleasure and energy, then mug is a very essential collocation to it. As a big category, there are a lot of mugs you can find both online or in a shop. We can not make all that large amount, so we just choose one small sort, and want to make it the best. Our mugs are all made of wood, and as a result of the different texture, every mug shows a different vintage feeling. To make it more unique, we also give an option for custom orders, so it can be the one that only for you. Of course, you can give it to someone else, it would be undoubtedly a wonderful present. Mug is a necessary part in our life. If we say coffee is a wonderful thing to provide us with pleasure and energy, then mug is a very essential collocation to it. As a big category, there&rsquo;re a lot of mugs you can find both online or in a shop. Mug is a necessary part in our life. If we say coffee is a wonderful thing to provide us with pleasure and energy, then mug is a very essential collocation to it. As a big category, there&rsquo;re a lot of mugs you can find both online or in a shop. We can&rsquo;t make all that large amount, so we just choose one small sort, and want to make it the best. Our mugs are all made of wood, and as a result of the different texture, every mug shows a different vintage feeling. To make it more unique, we also give an option for custom orders, so it can be the one that only for you. Of course, you can give it to someone else, it would be undoubtedly a wonderful present. a kind of cup used for drinking hot beverage, such as coffee, hot chocolate, soup, or tea.&rdquo; After years of development, mug has been into many different sorts. From the materials they used, mugs can be divided into ceramic mug, wood mug, and stainless steel mug. According to the function, they can be travel mug, amusement mug, puzzle mugs as well as thermochromic mugs. Every mug has its speciality, like the thermochromic mug can change colors or pattern as the degree change in water. But anyway, remember your target is to find the one you need or like. 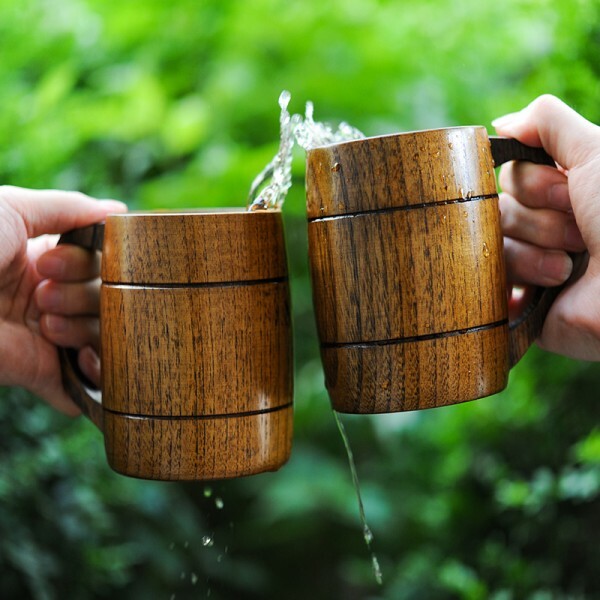 Our mugs are all made by hand, we carefully choose each piece of wood, and pay attention to the details. The finished mugs are all smooth in the surface, and there&rsquo;s no need to worry it&rsquo;ll hurt your finger. And we also had many tests to make sure it in a high quality, whether in shape keeping or heat bearing. The biggest distinction from others is the way to personalization. 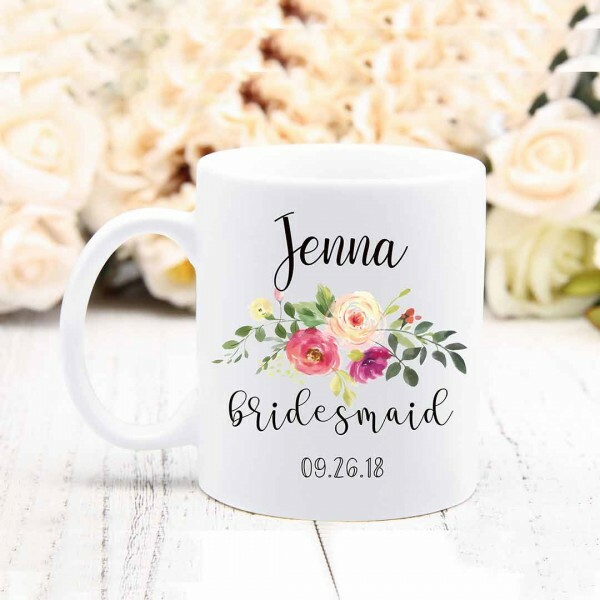 We have many different designs for different occasions and recipients, for example, making it a wedding gift for groomsmen, giving it as an anniversary gift for the loved one, wanting it a Christmas gift for mom or dad, sending it as a gratitude gift to teacher when graduated from school, and so on. And according to the reviews we got from our customers when we open shop in Etsy, they&rsquo;ll be satisfied, and I think you&rsquo;ll like it too. As for the custom order, you can just contact with me if you have any ideas for it, I&rsquo;d be very glad to make the one you want. And also, wholesale are also available, if you need, I can give you some kind of discount.